The purpose of this position is to provide Technical support in the design: implementation and monitoring as HJFMRI scale-up Pediatric HIV and EID services in supported regions. She/he will provide technical support to the HJFMRI Pediatric HIV care and treatment officer based in Songwe, Rukwa, Katavi, Ruvuma and Mbeya regions. The program Advisor for Pediatric HIV care and treatment will be part of a team of experts whose areas of work will include: scaling up of PMTCT, PITC, TB/HIV and ART Services. He will represent HJFMRI in National technical meetings addressing pediatric HIV issues. The Pediatric Advisor's position is based in Mbeya with frequent travels to Rukwa, Katavi, Ruvuma and Mbeya regions and limited travels to Dar es Salaam for support visits, and MoHCDGEC and USG Technical meetings. She/he directly report to the Medical Director. • Provide technical advice to the Medical Director in the development of Pediatric HIV program design, work plans and implementation strategies necessary to achieve the set targets and service coverage to the Southern Highlands zone. • Provide technical support in the development of standard operating procedures (SOPs), treatment protocols, targeted continuous medical education (CME) packages and other relevant materials for improving and advancing Pediatric HIV services in the Southern Highland Zone. 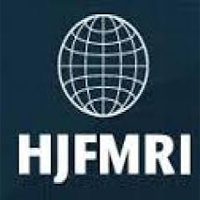 • Support HJFMRI regional teams in providing technical assistance to strengthen the capacity of regional and council health management teams for delivering quality pediatric care and treatment services. • Regularly conduct supportive supervision, mentoring, and formal training to ensure delivery of quality pediatric HIV interventions. • Work with the monitoring and evaluation team to ensure Pediatric HIV data are well collected, compiled and timely reported. • Constantly review program performance data and develop new strategies to improve program performance. • Technically support and coordinate with pediatric officers to ensure pediatric activities are standardized and contribute to increased pediatric enrollments and retention in care and treatment. • Work as part of the multi disciplinary technical team to provide technical guidance to the regional teams in planning program activities, ensuring close linkages between PMTCT, EID and pediatric services. • Work closely with MoHCDGEC and other partners to ensure the functionality of support services including availability of adequate stocks of supplies for PMTCT/EID and improve on turnaround time for HIV results of exposed infants. • Minimum five years' experience working with HIV/AIDS care and treatment programs. This position is responsible for the management, administration, and oversight for all aspects related to awards, sub-grants and contracts for the WRP program. The Contracts Officer will serve as the point person and will provide sub-award oversight, monitoring sub-awards and providing advice and technical support to WRP staff and sub-recipient partners. He/she is responsible for ensuring that the WRP and WRP partners comply with all applicable contracting policies and procedures, laws and regulations, proper accounting standards and donor reporting requirements. • Develops contracts, awards, award modifications and contract amendment documents for signature by the Site Director or Sr. Program Director and works closely with the HFJ/MRI contracts department, especially on awards valued at $1,00,000+. • Performs internal audits and reviews of partner operations as required to ensure compliance with WRP and donor policies and procedures. Provides additional technical assistance to partners (either personally or through delegation of finance staff) as is necessary to maintain high standards of compliance. • Stays abreast of donor policies, procedures, rules and regulations; compiles and updates applicable local policies and trains WUP program and partner staffs in all policies and procedures. Builds capacity of sub-recipients in areas not limited to grant writing, grant monitoring, budgeting, compliance, documentation and information management, and ethics. • Develops training modules and training materials for regularly scheduled group trainings and one- on-one mentoring/technical assistance. Provides skills building training and cross functional preparation for members of the Finance and Procurement staff. • Develops an award tracking system and tools/reports for the monthly reporting of Contract activities. • Ensures for the availability, continuity and security of financial data and information pertaining to contracts and grants. Computer Skills: • The following computer proficiency is (are) required: Microsoft Office, accounting and payroll management software, e-mail and internet, and willingness to expand skill base. • Ability to read, analyze and interpret general technical financial procedures and governmental regulations. Ability to write reports, business correspondence and procedure manuals. Fluent in English and Kiswahili. or transmitted by email to; recruitment@wrp-t.org NOTE: to be considered, applicants must put the TITLE OF THE JOB in the SUBJECT LINE, avoid delivering the application in person. Deadline for submission of the application is March 26th, 2018. Those who do not meet the minimum requirements as detailed below should not submit applications.